Attorney Neil T. O’Donnell served as moderator of the Committee for Justice for All (CJA) seminar on April 19th, 2012. Attorney O’Donnell also was a featured speaker on the seminar panel, and his presentation focused on “Litigating Joint Tortfeasor Cases in Light of the Pennsylvania Fair Share Act.” The April seminar was part of CJA’s Trial Advocacy Series of continuing legal education programs. Attorney David Fallk serves as president of CJA. CJA is a non-profit advocacy group dedicated to preserve the integrity of the civil justice system and the constitutional right of all Americans to trial by jury. CJA believes the right to a trial by jury is as fundamental to American freedom as the right to vote. The American jury system is the only way average citizens can take on the rich and powerful and be assured justice. CJA’s mission is to disseminate information to the public, media and legislators to further the position that limiting victims’ rights by capping the amount of damages they can receive for their injuries will not provide an effective solution to the medical malpractice insurance crisis affecting a number of states. Attorney O’Donnell, founder and owner of O’Donnell Law Offices, has been selected by his peers as one of the Top 100 Pennsylvania “Super Lawyers” for seven consecutive years. 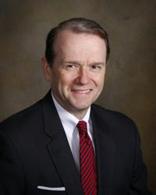 Mr. O’Donnell is a member of the Board of Governors for the American Association of Justice (AAJ) and the Pennsylvania Association for Justice (PAJ) and regularly serves as a presenter at PAJ seminars. About O’Donnell Law Offices O’Donnell Law Offices is a personal injury law firm located in Kingston, Pennsylvania, providing services for all of Northeastern Pennsylvania. The firm has successfully represented numerous individuals who have been seriously injured or lost a family member due to an accident, defective product or medical mistake. For more information, visit https://www.odonnell-law.com or call (570) 258-8820.